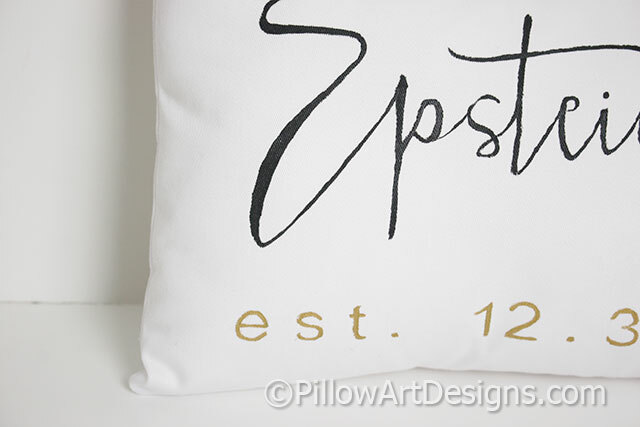 Name and Est date pillow measures 9 X 13 inches (approx). 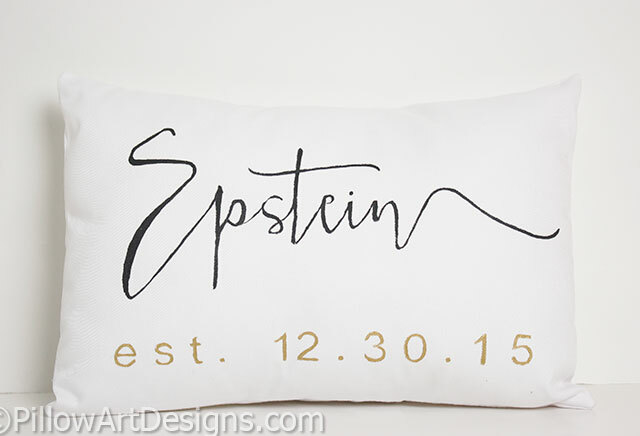 Name is hand painted in black using modern calligraphy style font, date appears below painted in metallic gold in numeric format. Outer fabric is white cotton twill, fully lined with white cotton polyester for a nice fit and finish. Pillow comes stuff with hi loft polyester fiberfill, no need for an insert. 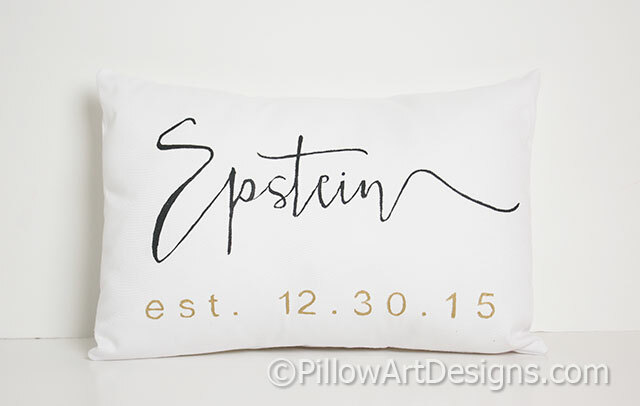 To order, purchase this listing and remember to send me the name and the date you wish for the front of the pillow. Please allow me one week to complete your order, based on my workload at time of order.